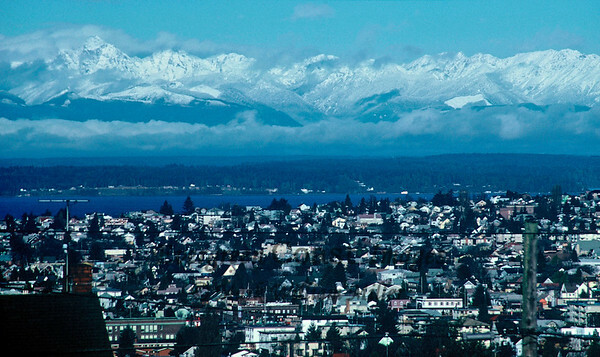 Everyone has a soft spot for their hometown "geography", and for me, Seattle and its envirions are no different. It is always interesting, however, to try to "reimagine" it, and provide different perspectives of it - to those who have been there and lived there - and to those who have not. Digital scan of a color film slide.